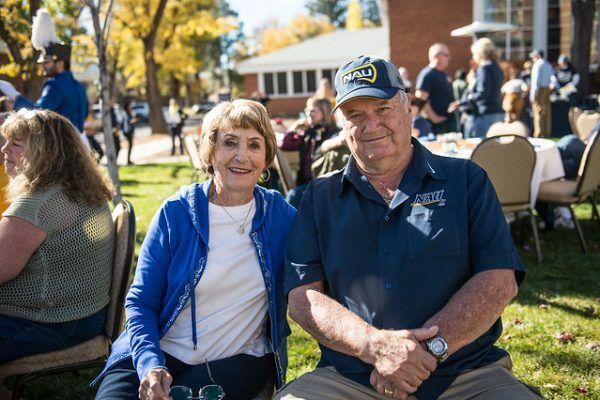 An NAU tradition since 1924, Homecoming is your chance to unite with students, alumni, and community members in celebrating NAU! Join us for Homecoming 2018, featuring a week of events leading up to the true blue game on Saturday, October 27, vs. Cal Poly. 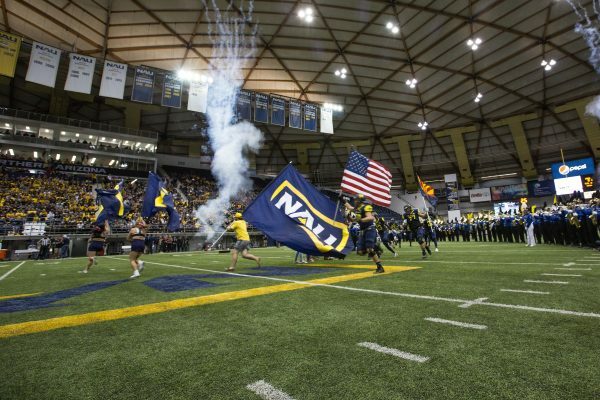 A clear bag policy is in effect for all NAU football games. Click here to review the policy. 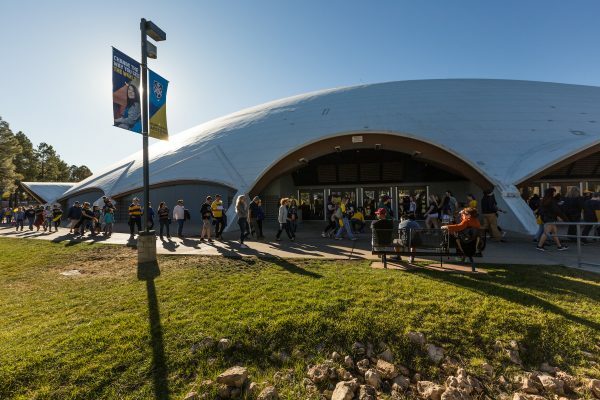 Homecoming connects NAU to the community as we welcome returning alumni to enjoy a week of campus events and activities. Alumni events To activate the Alumni events tab, press your spacebar. We’re excited to welcome you back home! 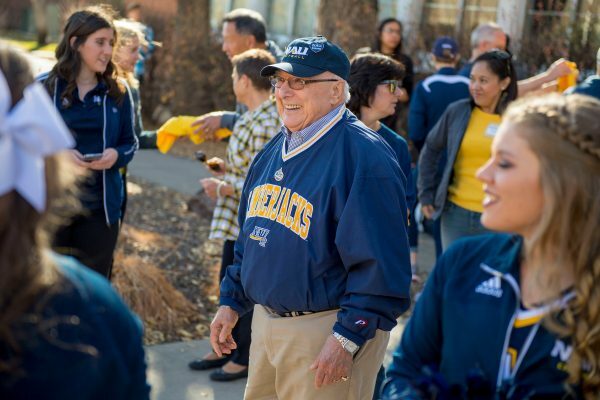 Reconnect with your friends and classmates and share your Lumberjack pride during the “Lumberjacks Looking Back” Homecoming celebration. 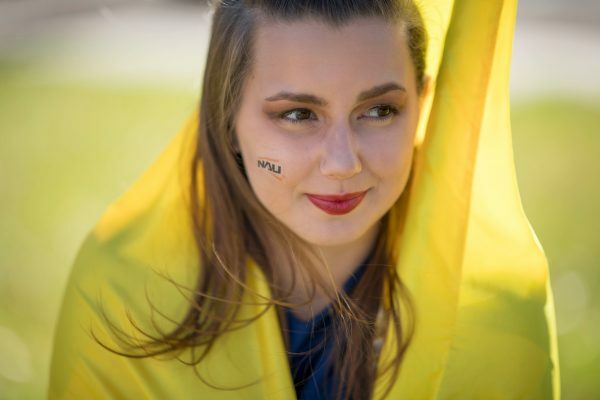 Be sure to tag your Homecoming photos with #NAU throughout the week. Soccer vs Idaho | Lumberjack Stadium | 12 p.m.
Lumberjack March | City Hall | 5 p.m. Downtown Pep Rally | Heritage Square | 5:30 p.m. 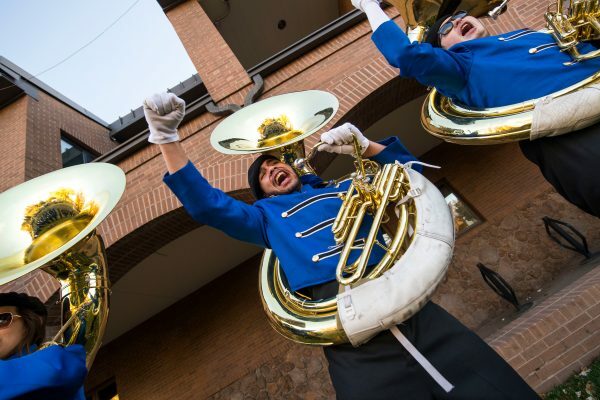 Parade | Campus perimeter | 11 a.m.
MakerLab – Open Session | Cline Library | 12 p.m.
Special Collections and Archives – Open Hours | Cline Library | 12 p.m.
Tailgate | Lot P66 & P66A | 1 p.m.
Football vs Cal Poly | Skydome | 4 p.m.
Student events To activate the Student events tab, press your spacebar. 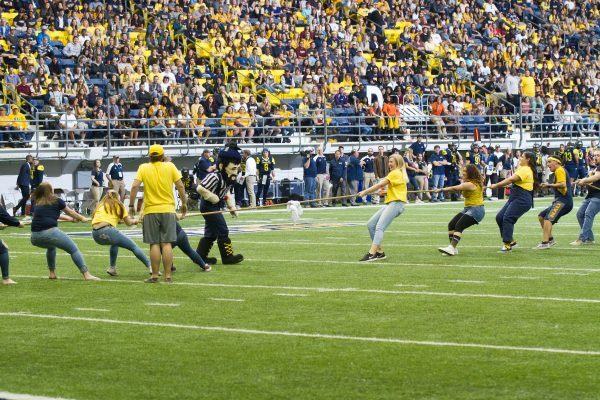 Celebrate with your fellow Lumberjacks during Homecoming week, the most spirited time of the year! 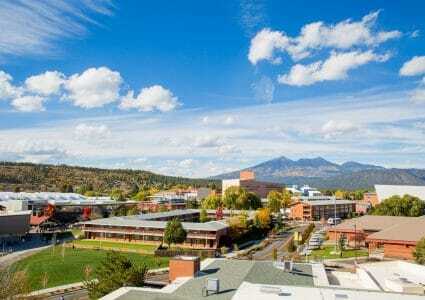 Be sure to tag your Homecoming photos with #NAU throughout the week. Make It Monday | Union Point | 7 p.m.
Dive-In Movie | Wall Aquatic Center | 9 p.m.
Mt. 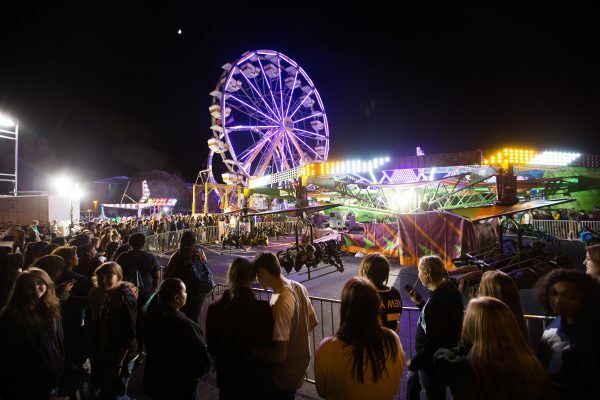 Joy Concert | Prochnow Auditorium | 8 p.m.
Bonfire and Chili Cook-off | Central quad | 7 p.m.
Carnival | University Union pedway | 4 p.m.
Flannels and Flapjacks | Central quad | 9 a.m.
Homecoming Dance | MAC Gym/HLC | 9 p.m.
Community events To activate the Community events tab, press your spacebar. Join us on campus for a variety of family-friendly events open to the public during the week-long Homecoming celebration. 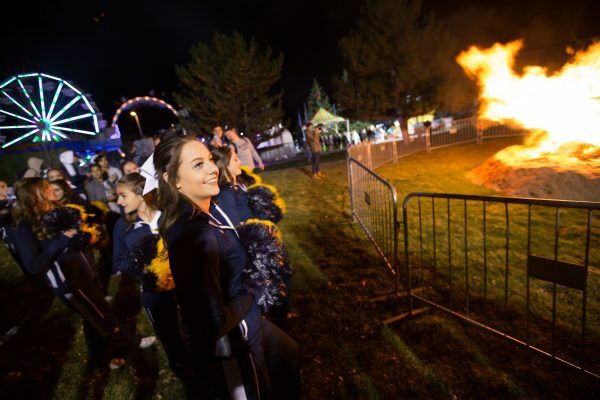 Be sure to tag your Homecoming photos with #NAU throughout the week. 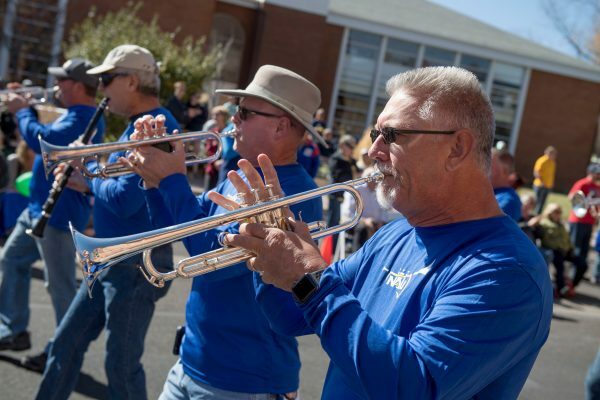 The annual Homecoming Day parade will take place on NAU’s campus 11 a.m. on Saturday, Oct. 27, with free parking and shuttle service. 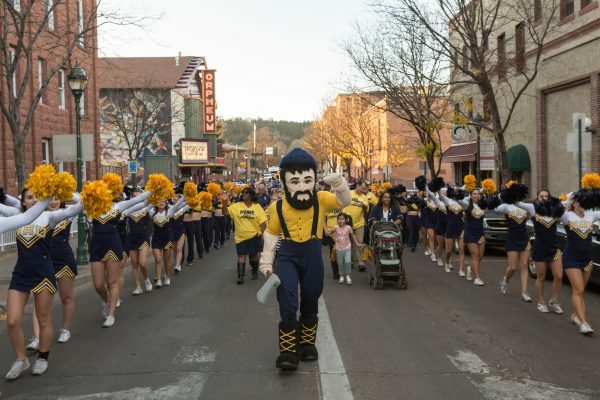 The Blue Key Honor Society invites students, staff, faculty, and community members on- and off-campus to participate in the 2018 NAU Homecoming parade. 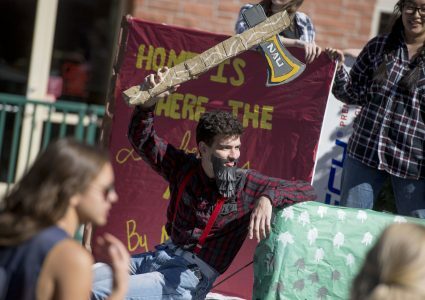 Show your Lumberjack spirit and enter your own float in the parade! 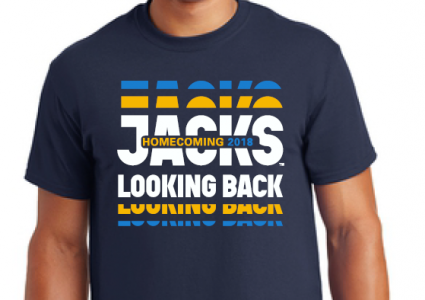 The Lumberjack Alumni Ambassadors student group is offering the official 2018 NAU Homecoming t-shirt. Pick up yours for $10 at the following Homecoming Week events, while they last! Proceeds from t-shirt sales will benefit the Lumberjack Alumni Ambassadors Service Award Scholarship. 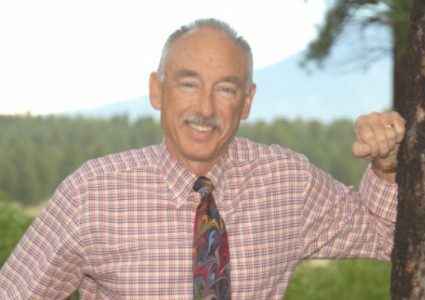 The Homecoming dedicatee, Bruce Fox, has been revealed. Join him and other past dedicatees at the upcoming brunch on October 21 at 1 p.m. The brunch will be in Ashurst Auditorium. Admission is $15 for one, with a table for seven at $91. You can purchase tickets online.